We think SMM has the highest beat potential if there are no provision for cost overruns. Ship repair and execution of orders should turnaround its losses from 1Q17. STE is starting to see some seasonal earnings pick-up from 2Qs. Aerospace may see a yoy margin expansion with higher efficiency in EFW. SCI’s losses in India could narrow on higher power and wind generation but net profit growth in 2Q could swing either way, depending on land sales in urban development. Our preference among the capital goods names: SMM, SCI, STE, YZJ and lastly SIE. Sembcorp Marine (SMM) was affected by provision for cost overrun for Libra FPSO in 1Q17, resulting in an EBIT margin of 1.8%. Without such an incident, 2Q17’s results could turn around. The market could reward SMM if its net profit is higher than that of KEP O&M of S$1m. We expect a core net profit of S$30m for 2Q17, with revenue -5% qoq to S$720m on lower rig building recognition but EBIT margin to return to 6% (FY16: 6.4%). Cashflow should improve slightly from the final collection from Libra FPSO delivered in 1Q17. Proceeds from the sale of Cosco divestment will kick in by 3Q17. We estimate Sembcorp Industries (SCI)’s 2Q17 core profit to be flat qoq at S$111m if the urban development (UD) land sale remains strong (1Q17 profit: S$37m). We expect utilities profit of S$68m (+12% qoq, -9% yoy). We expect core losses for India to narrow to c. S$2m (1Q17: -S$16m) on higher power dispatch from a full quarter’s contribution of two turbines in SGPL. Note that short-term contract for Telangana (contracted at c. Rs4/kw) and replacement at spot price should see lower ASP of c.Rs3/kw. There will also be higher refinancing penalty for SGPL (non-core expense). We expect a TPCIL profit of S$14m with no major plant shutdown in 2Q17. SGI’s profit of S$6m (1Q17: -2m) should be helped by stronger wind. Singapore grid prices remained steady on firm oil price but UK and China will see lower earnings from plant shutdown and absence of Yangcheng. We estimate ST Engineering (STE)’s 2Q17 PBT and net profit to be S$170m and S$135m (+27% qoq, flat yoy) with the highest recovery from marine if there are no provisions for litigation cost. Marine was affected by S$13m in provision for doubtful debts in ship repair in 1Q17. Aerospace and electronics should see earnings growth from a seasonal pick-up in activities in 2Q17. We expect a firm PBT margin for aerospace (14%) helped by continuous efficiency achieved in EFW Germany. Electronics may see a high single-digit yoy growth in PBT instead of 10% historically, from a high base effect. Land systems should see better US automotive contribution and steady service trading but munition & weapon may be lumpy. We expect SIA Engineering (SIE)’s 1QFY18 net profit to be flat qoq and yoy at S$42m with steady contribution from associates but operating losses to remain in airframe MRO. Yangzijiang Shipbuildings (YZJ)’ 2Q17 net profit could beat consensus but in line with ours at Rmb699m with the help of tax credit for Xinfu preferential yard status. Revenue may trend lower with the absence of the delivery of two LNG vessels contracted at US$67.5m each in 2015. We expect shipbuilding margins to remain at the 20% levels as the yard guided that two cancelled bulkers could be delivered in 2Q17 (cost incurred in 2016). According to Clarkson’s, YZJ secured six shipbuilding contracts in 2Q17, comprising three 1,800 TEU containerships and three 82k bulk carriers. We estimate total contract value to be c. US$200m vs. 13 vessels in 1Q17 (US$318m). We think SMM has the highest potential of beating consensus estimates. Our preference among the capital goods names are Sembcorp Marine (SMM), Sembcorp Industries (SCI), ST Engineering (STE), Yangzijiang Shipbuildings (YZJ) and lastly SIA Engineering (SIE). Maintain Add with a target price of S$1.88, based on 1.5x FY17 P/BV. Order wins and qoq improvement in earnings could be the key catalysts. Maintain Add with an SOP target price of S$3.52. Medium term catalyst could come from stronger-than-expected contribution from the new power plants in emerging markets. Potential divestment of non-core utilities could help to improve cashflow. 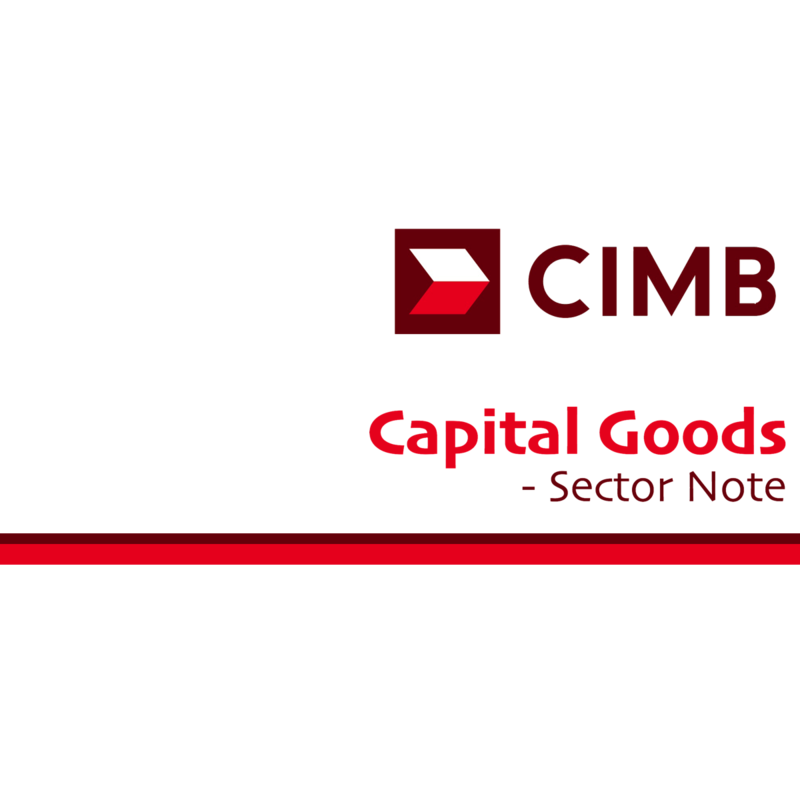 Maintain Add and target price of S$3.82 on blended valuations (22x P/E, DCF and dividend yield). STE benefits from the smart nation and automation themes. Catalysts include stronger margins and earnings accretive M&As.